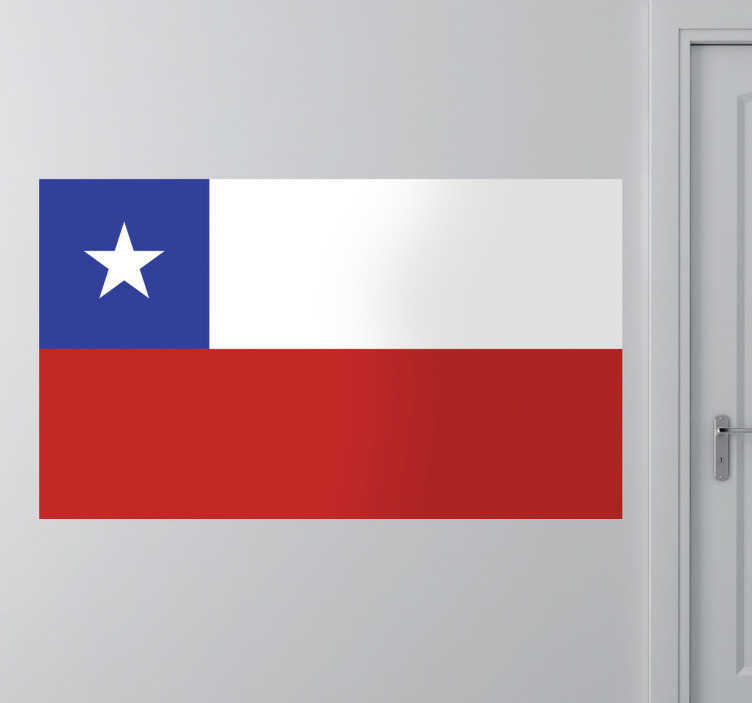 Decals - Mural of the Chilean flag also known as La Estrella Solitaria - The Lone Star. The national flag of Chile consists of two unequal bands of white and red strips accompanied by a blue square with a white five-point star. Ideal for the home or business. Available in various sizes.